Sheep do not have the ability to keep themselves safe. They have to have a relationship with a leader.. The freedom experienced by sheep is a direct by-product of the effective leadership of the leader - not the sheep. 10 “I tell you the truth, anyone who sneaks over the wall of a sheepfold, rather than going through the gate, must surely be a thief and a robber! 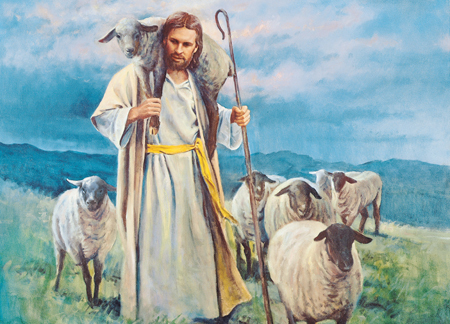 2 But the one who enters through the gate is the shepherd of the sheep. 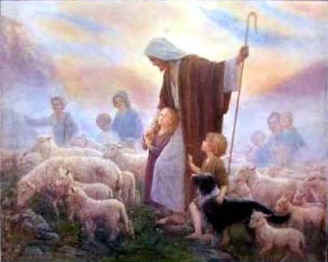 3 The gatekeeper opens the gate for him, and the sheep recognize his voice and come to him. He calls his own sheep by name and leads them out. 6 Those who heard Jesus use this illustration didn’t understand what he meant, 7 so he explained it to them: “I tell you the truth, I am the gate for the sheep. 8 All who came before me were thieves and robbers. But the true sheep did not listen to them. 9 Yes, I am the gate. Those who come in through me will be saved. They will come and go freely and will find good pastures. 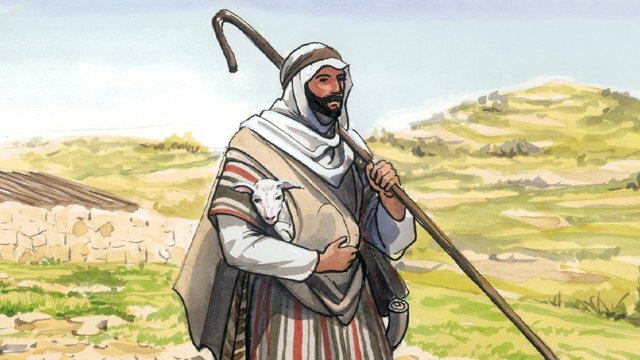 11 “I am the good shepherd who sacrifices his life for the sheep. 12 A hired hand will run when he sees a wolf coming. 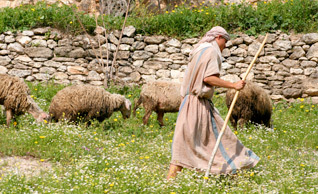 He will abandon the sheep because they don’t belong to him and he isn’t their shepherd. 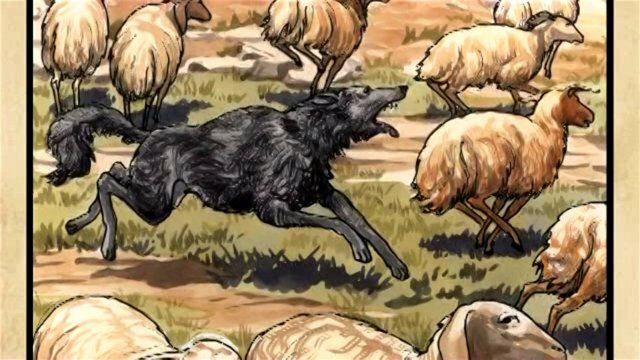 And so the wolf attacks them and scatters the flock. 13 The hired hand runs away because he’s working only for the money and doesn’t really care about the sheep. 14 “I know my own sheep, and they know me, 15 just as my Father knows me and I know the Father. So I sacrifice my life for the sheep. 16 I have other sheep, too, that are not in this sheepfold. I must bring them also. They will listen to my voice, and there will be one flock with one shepherd. 17 “The Father loves me because I sacrifice my life so I may take it back again. 10 “I tell you the truth, anyone who sneaks over the wall of a sheepfold, rather than going through the gate, must surely be a thief and a robber! 2 But the one who enters through the gate is the proper leader of the sheep. 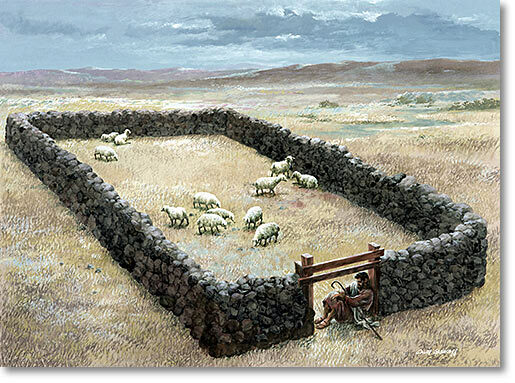 Sheepfolds were enclosures where the sheep would spend the night in relative safety. The shepherd is the door. He guards the door or open gate. A hired hand will run when he sees a wolf coming. He will abandon the sheep because they don’t belong to him and he isn’t their leader. And so the wolf attacks them and scatters the flock. The hired hand runs away because he’s working only for the money and doesn’t really care about the sheep. Parables hold core truths sitting in the midst of each story. These are totally dependable. 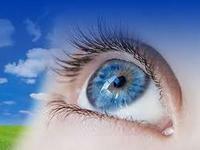 The Holy Spirit of GOD will effectively give information, guidance, warning, etc as events in our life warrant. Just know the "word-picture" well. That will assure we have basic wisdom preparation in place.